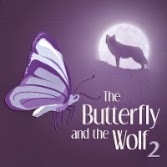 West End leading man Jeff Leyton is returning to the UK to make a rare appearance in The Butterfly and the Wolf 2: Life Changes Everything charity gala in aid of Lupus UK on Sunday, 1st June at 7pm at Greyfriars Kirk, Edinburgh. The star who played Jean Valjean in Les Miserables West End & UK tours andf Old Deuteronomy in Cats, West End will be joined by Susie Dumbreck/Les Miserables, Oklahoma! : Charles Munro/Scottish and Royal Opera companies: Andrew Gowland/Murderous Instincts in West End/Into the Woods and Morag Siller/Les Miserables and Mamma Mia! in concert performing numbers from musicals, classical, jazz and more.